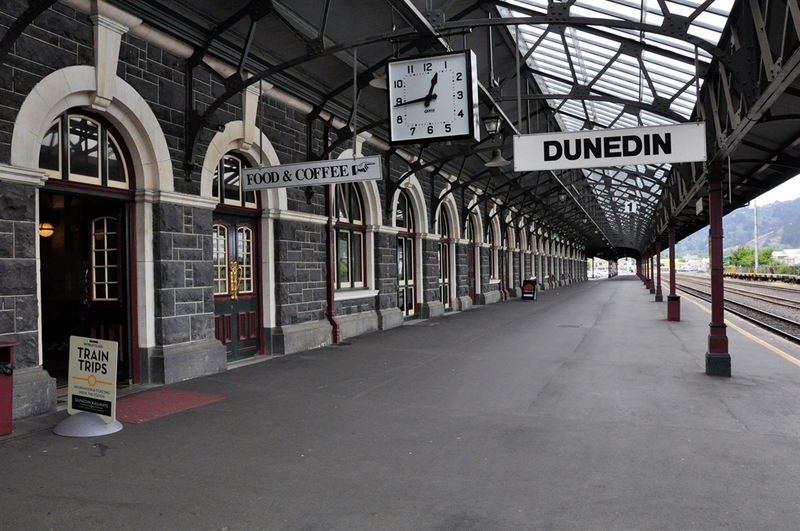 Are you heading for a Day in Dunedin? If so, read on for some top tips on things to do and see, without spending a cent (except for food and gas of course). 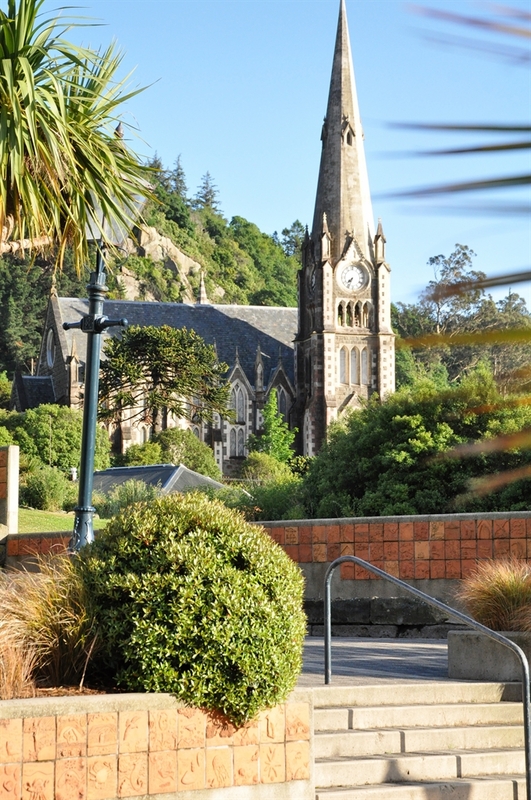 In most kiwi’s minds, if you mention Dunedin, they’d immediately think ‘student town’. And not without good cause – around 20% of the cities’ population are students! 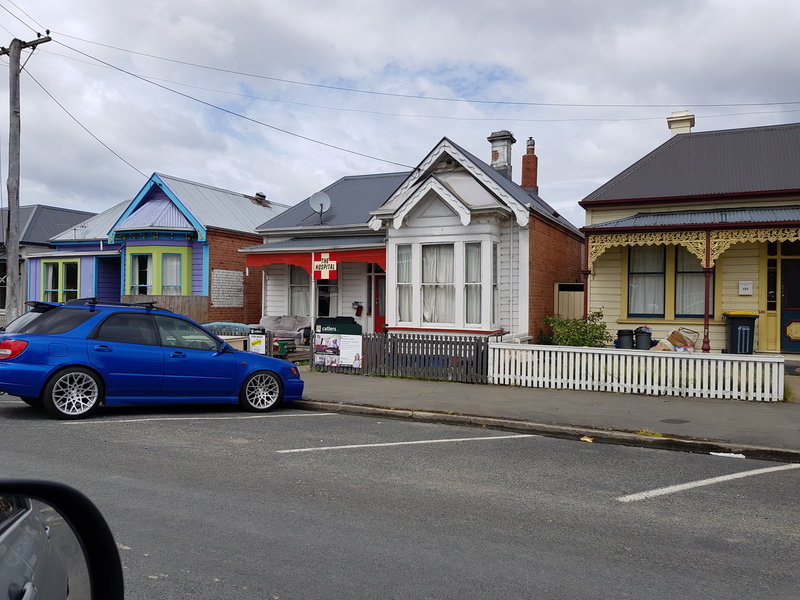 BUT, there is much more to Dunedin than it’s student population, and during our day in Dunedin we did our best to discover as much of it as we could. 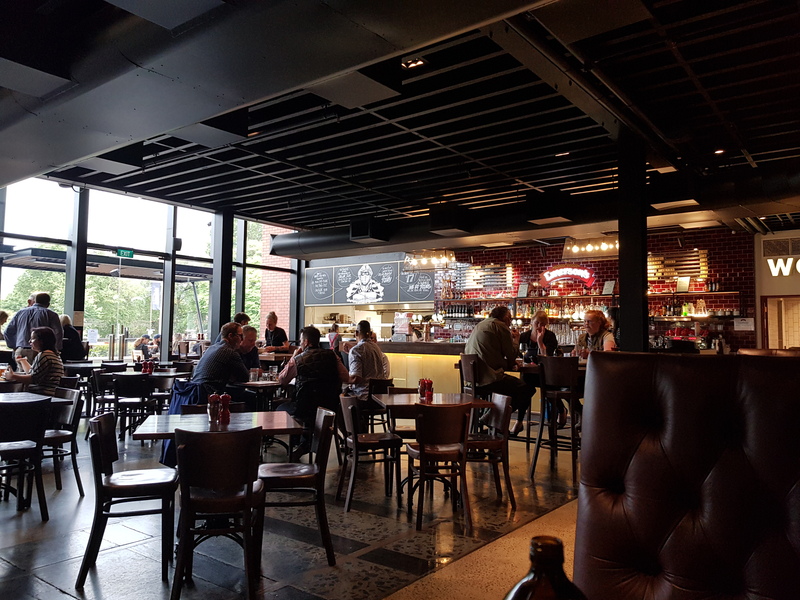 We arrived late afternoon, so headed to a local brewery for a bevvy and dinner. I could have parked hubby here for the day, and he would have been extremely happy. Personally I’m not into all the brews, but they did have a nice cocktail menu, and our dinner was delicious. So it’s not a bad way to keep the other half happy. (This is a great time to tell him you’ll be doing some shopping!). 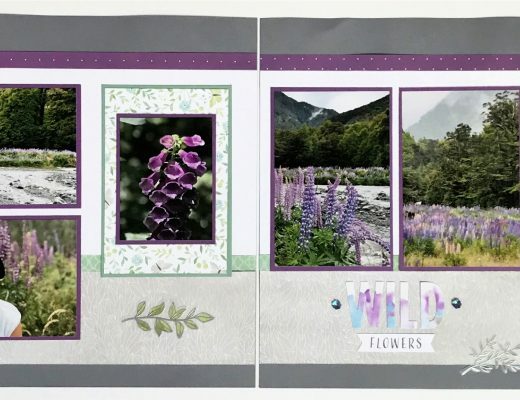 We started out next day a little out of the city – at Port Chalmers. 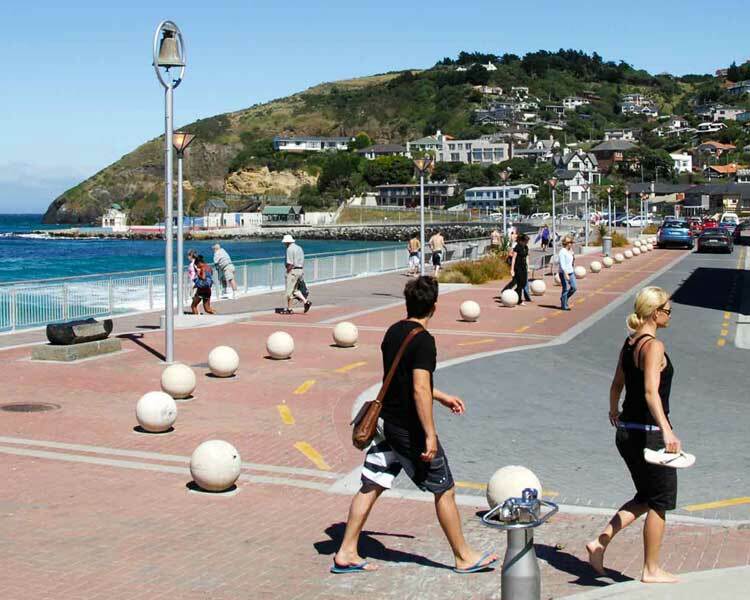 This little village is where the cruise ships dock, and disperse their passengers off into the greater Dunedin area. 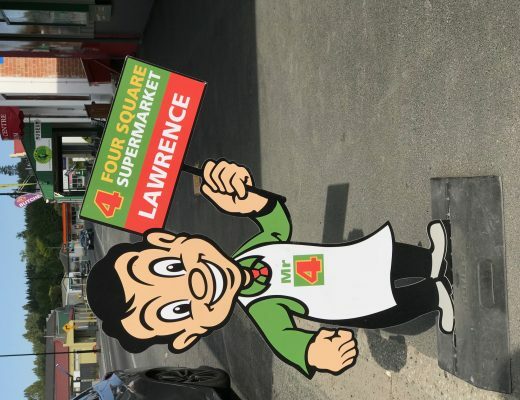 It’s very cute, but don’t try and get a coffee in town before 8am. 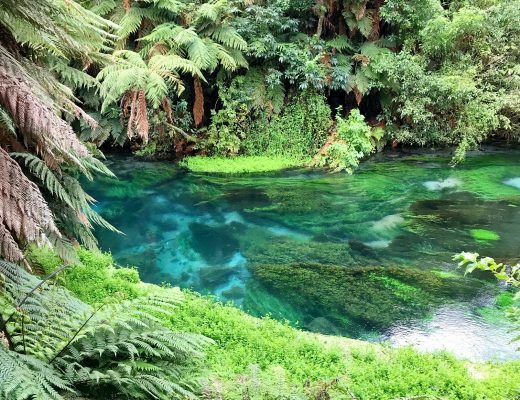 Shh … Now here’s a little locals secret. Just 1km around the next corner (away from town) sits the Carey’s Bay historic pub, in beautiful Carey’s Bay. For cruise ship passengers, it’s an easy walk, with a huge reward at the end of it. 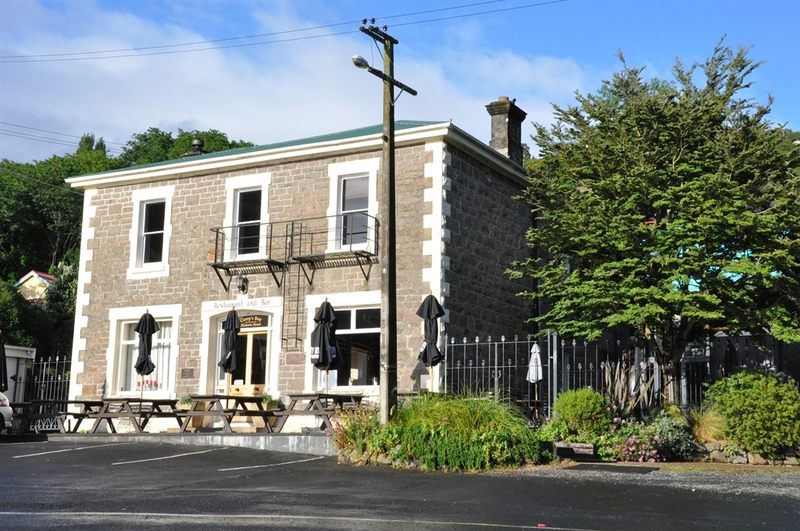 The hotel dates back to 1874, and specialises in seafood from the area. Along with enjoying the atmosphere of the pub/hotel, it’s also a great spot to sit and enjoy the view out to Carey’s Bay. 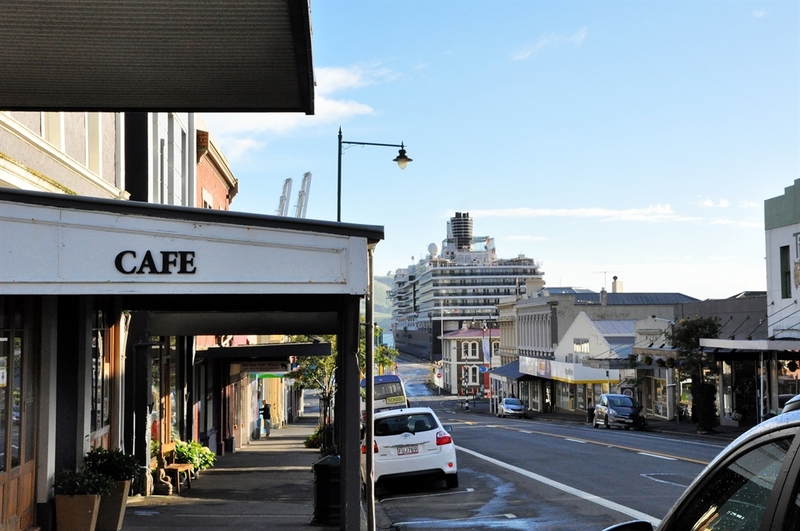 There is a great lookout above Port Chalmers (Flagstaff Lookout), but Carey’s Bay must be another fabulous spot to view the cruise ships coming and going, perhaps with a drink in hand?! 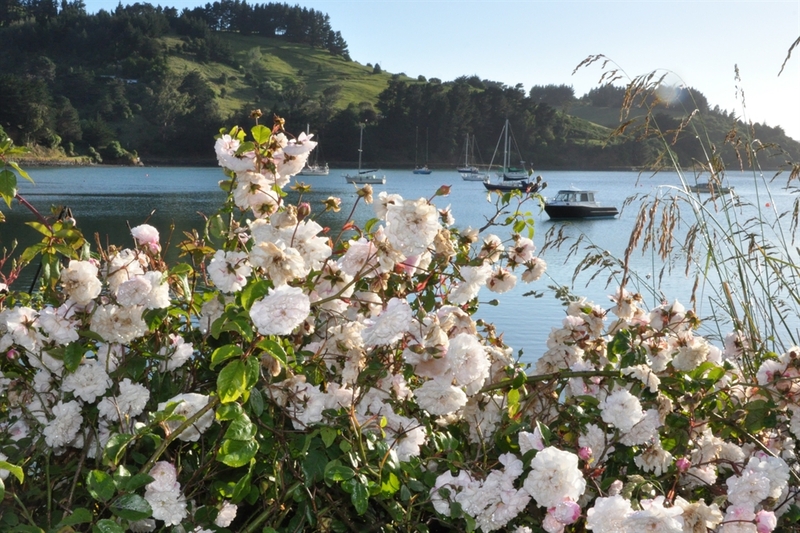 We had a one night stay in Sawyers Bay, which is a little bay just before Port Chalmers (city side). Although I wouldn’t rate Sawyers Bay as a must visit, our little cottage was just perfect. If you don’t need to stay in the city, then this is your perfect home away from home. This was just my second Air BNB experience. I’m happy to say I’m sold on the experiences, especially for value for money. I could go on about this beautiful little cottage and all it had, but best you just check out all the info here on Air BNB. I do have to admit to being a little reluctant to share this info, because if you all book it, it might be hard to get into when I next need it. But I’m rising above my desire to keep this secret. Toni is a super host, and deserves that recognition. The photos of the little cottage really don’t do it justice, and one of the most valuable things that you can’t get from the photos, is just how comfortable everything is in the house. If you value a good nights sleep, you’ll love this place that little bit more. 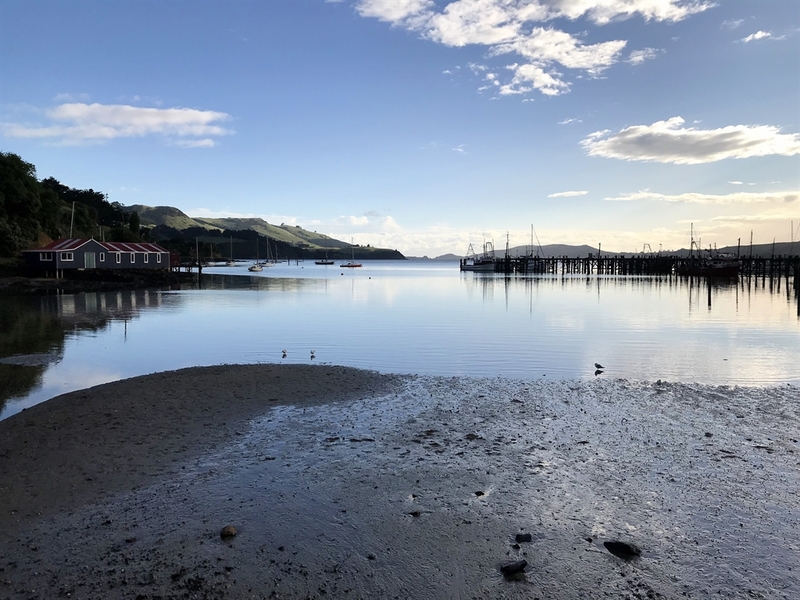 Sadly, it was time to check out of our cottage, and do a little more exploring around Dunedin, before heading to the airport. Our first stop was to St Clair Beach for a bit of brekkie. We ate at the Starfish Cafe – my advice is to go here hungry! St Clair is another gorgeous little village, that looks as if its developing fast. It’s a great spot to spend a little time. You can lose time watching the surfers enjoy the waves, or head to the heated salt water pool on the edge of the ocean. It’s a 10 minute drive to town from St Clair, but before we hit the city, we headed up Signal Hill to view it from above. From here the city and its harbour are laid out before you in a spectacular panorama, with a little history lesson thrown in. 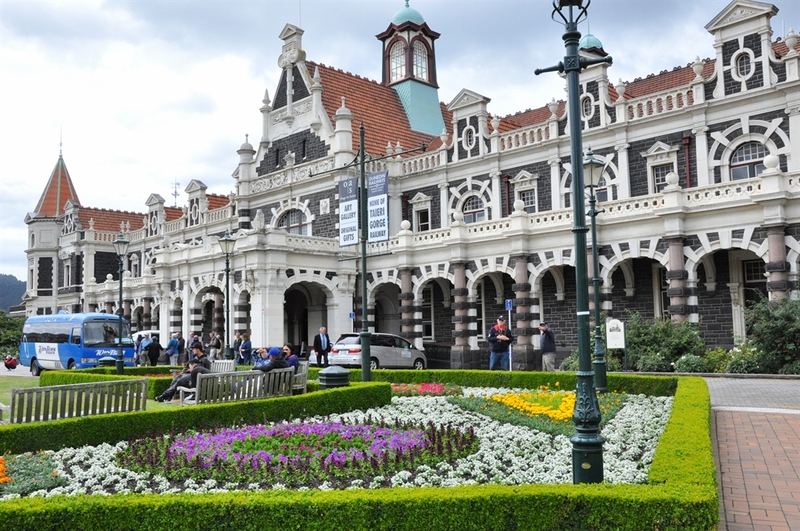 One of the things that gives Dunedin such character, is the architecture that abounds in the city, and none more so than that of the beautiful Railway station. 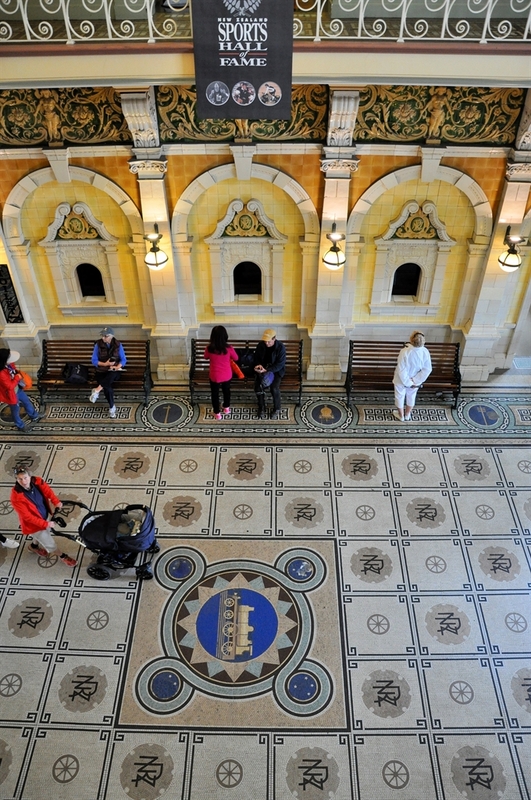 Whether or not you’re catching a train, it’s worth checking out the Station. 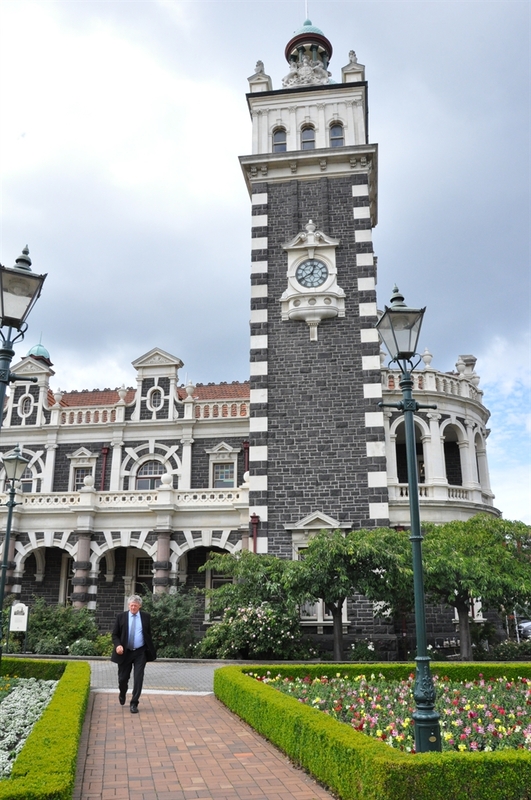 Of course, there are many other special heritage buildings in Dunedin, not the least of which are Larnach Castle, and Olveston House. As I’ve visited these before, these weren’t on today’s list.